Truth be told, there is a lot that goes on in the workplace. People get so engrossed in their work that they forget about issues such as office junk management. Well, it is possible for junk to pile up in the office without you noticing. Although junk removal is one of the chores considered to be time consuming, there are effective ways that you can actually use to manage them. However, you will have to need a plan first. A plan allows you to choose specific days and hours for handling junk. 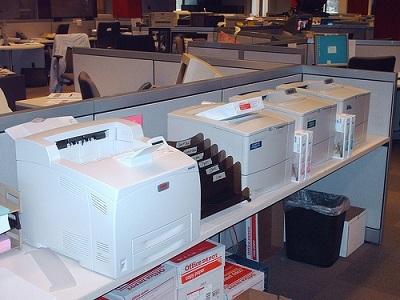 It makes it easy to hire services to help you remove junk from the office to disposal sites. Here is more on how to effectively get rid of office junk to create a clean and safe workplace for your staff. There are various kinds of wastes you come across in the office’s trash can. These include recyclable wastes, organic wastes and non-organic wastes. Sorting actually means collecting and putting various wastes into their respective categories. For effective waste sorting, you will have to get labeled cans. Labeled cans are offered by companies that provide rubbish removal services. If you can get cans for recyclable wastes, organic wastes and non-organic wastes, choose ideal locations for them to allow your staff easily dispose of any office waste. Here, waste removal companies come in really handy. They will give you important details on their services such as time for waste removal and collection and fee for waste removal services. These two factors will help you to plan things well when preparing a schedule for removing waste in the office. For instance, you can choose to have all garbage taken out in the afternoon. This is usually effective because it discourages pests from swarming the office overnight. Moreover, it helps keep the office from bad smell that may result from food wastes in the bins. You should also have a suggestion board for office areas that particularly require more cleaning attention. This goes a long way to reduce untidiness in the office. It is important to ensure that your business image is good. Cleanness is actually one of the ways that makes good impression on potential clients. Occasionally, staff members can make suggestions on areas of the office (indoors and outdoors) that require more cleaning to ensure a cleaner and healthier workplace. In addition, you can get recommendations for the best waste removal companies from your employees. Therefore, ensure there is a suggestion board or box for office cleanness and waste management. You should encourage staff to keep the office area clean by ensuring that there are no boxes or any other packaging material lying around in the office after use. Untidiness is not good for the office environment. First, you need to ensure you have the right storage facilities to ensure all important paperwork is kept properly. The remaining wastes can be disposed of in their respective waste cans. You should also strive to have a culture that not only appreciates but also rewards office cleanness. This way you will encourage your staff to be more accountable when it comes to office cleanness. Cleanness is important because it reduces cases of sickness. It goes a long way to give the business a good image. A clean office is an indication that your business is well organised. An untidy office sends the wrong impression to potential clients and affects the general attitude of your staff. By working with an effective waste management plan, you can easily deal with office waste with the additional help from waste removal companies.